Today on Friday’s Featured Food I should be celebrating this, which is my 2,000th blog post on Don’t Stop Living, but hey on with the usual show!! And that means catching up with those foods I have tried down the years on my travels. I’ve been to Sweden four times so far (counting side trips to Denmark) and have toured Stockholm, Gothenburg, Malmo and Angelholm. 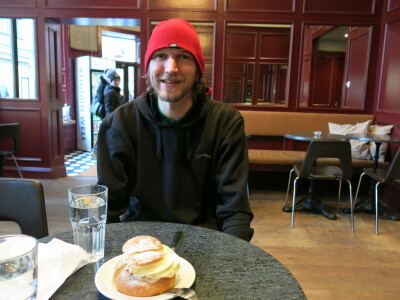 I tried the Semla in Stockholm and then with my mate Daniel and his girlfriend Sofia when I stayed in Angelholm. 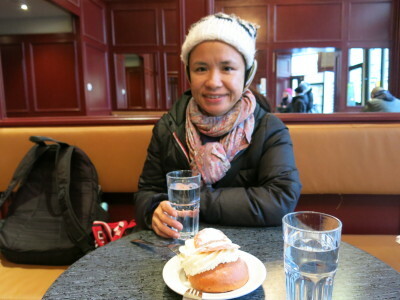 If you happen to be in Sweden in Wintertime, try the Semla! It is a sweet roll, consumed in the early months of the year, normally February (when we were in Sweden). 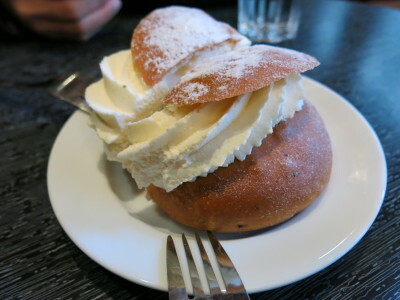 The ingredients and types have varied over the years and depending on the country, as Semla equivalents come up in Estonia, Norway, Finland etc. The Swedish-Finnish Semla has a bun made of cardamon-spiced wheat (tasted a bit like marzipan). The top is cut off and it is filled with an almondy, milky paste.Whipped cream goes on top of this and then the bit that waqs cut off goes back on top like a lid (as the photos show. It is often eaten on its own or with coffee or tea. Where Can You Get Semla? 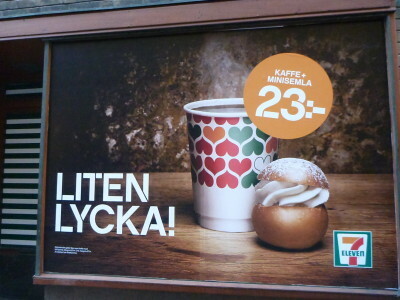 In February time, it’s everywhere in Sweden – mostly bakeries, cafes and restaurants. Ask around and you will find it. 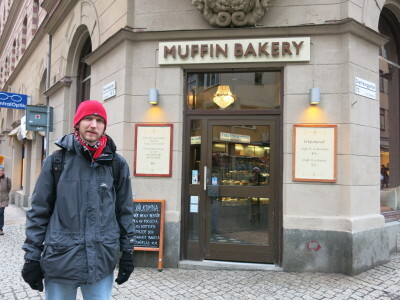 I tried it in a few places and the first time to try it was at a cafe called Muffin Bakery in Stockholm, Sweden. 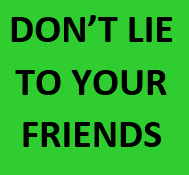 It really varies. 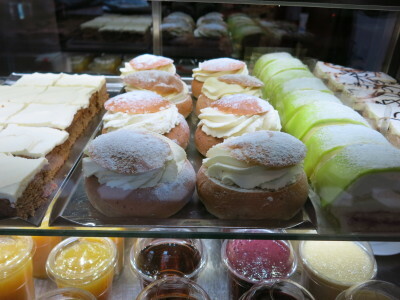 We saw local shops like 7-11 selling them for 23 Kroners for a mini Selma and a coffee, others selling them for 30 Kroners (£2.30 UK) for 2 Semla. If you buy them in bulk, obviously you get more value. 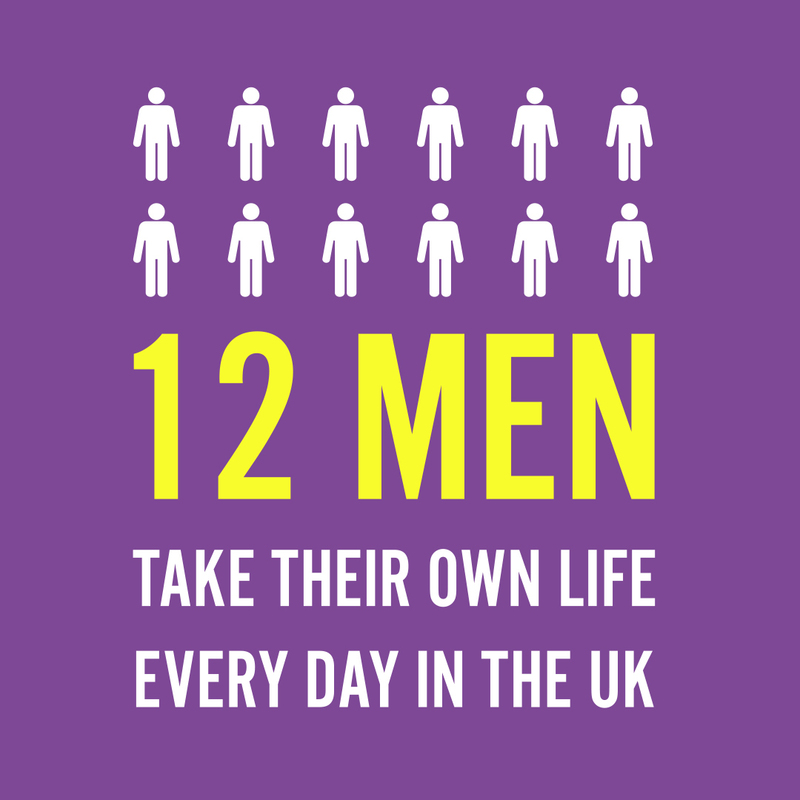 But generally around £1 UK pound each, or a couple of $US Dollars. 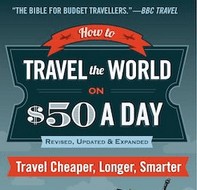 Not something you want to be spending lots of money on when you are backpacking in Sweden, but definitely worth a try! I enjoyed my time in Sweden and we stayed in a few cool hotels and hostels such as the Lady Hamilton in Stockholm, the Hostel Dalagatan and the Malmo YHA Hostel. I did some tours in Stockholm on boats and the Stockholm tour bus and the following week, I was celebrating again as I got the train to Norway for my 99th country. Hope you have enjoyed my Scandinavian posts so far, I aim to have more on the way, especially from Norway. This entry was posted in Angelholm, Daily Features, Europe, Friday's Featured Food, Stockholm, Sweden. Bookmark the permalink.